I suppose I should start out by being completely honest, hence the name of this post. MissBusa has requested (read “you will do this”) me to join her in her blogging endeavors. And I have agreed. 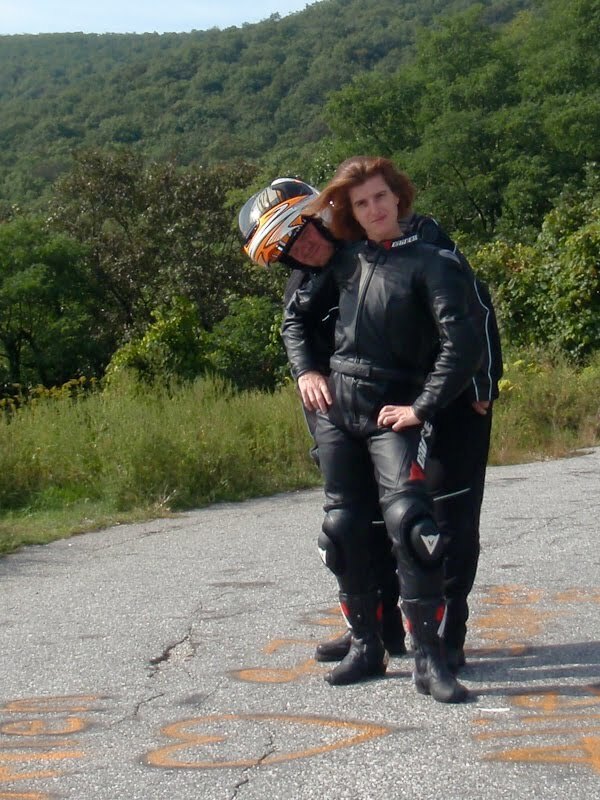 Our riding styles are completely different, and she thinks that a different point of view is probably a good idea. This is my biking background. I rode my first bike, a friend’s enduro in high school. It was fun, but short lived. Once in the Navy, at my permanent duty station, I squired up and bought a Shadow, the year 1984. Had a blast, probably should have been killed too many times to count, I took no safety courses, just hopped on and hoped for the best. I laid that bike down under a straight truck, I was wearing chaps, I had to have rocks and road debris dug out of my backside. End of first bike. Once out of the Navy, I purchased a Nighthawk 650. Great bike, started riding much more responsibly, and paying much more attention to my surroundings and generally becoming a better rider. Eventually traded the bike in for a full-sized conversion van when MissBusa and I moved out of state. Fast forward a decade or so, MissBusa finds she can’t live without riding, and I get a Vulcan Special Edition (read “can’t keep up with the wife”). Upgrade to present Concours 14 (read “not falling too far behind, and I can carry her bags”). That’s my history in biking, short version. See ya on the blog.